Dear Friends! 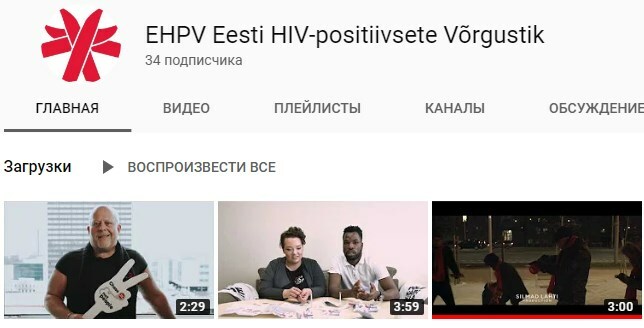 We invite you to visit our updated Youtube channel! Both our old and new video clips are available, created in collaboration with Silmad Lahti Production! https://ehpv.ee/wp-content/uploads/2018/11/ehpv_logo_en.jpg 0 0 admin https://ehpv.ee/wp-content/uploads/2018/11/ehpv_logo_en.jpg admin2019-03-24 09:07:562019-03-24 09:07:56It’s time for action! It’s time to End TB. “Chase the virus, not the people!” – “Zero Discrimination” Day! 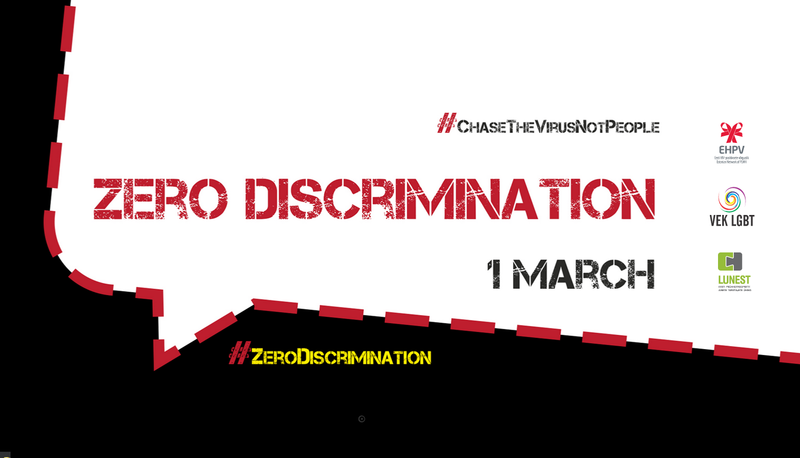 March 1 – the special day for #Chasethevirusnotpeople campaign team, dedicated to the Zero Discrimination goal. 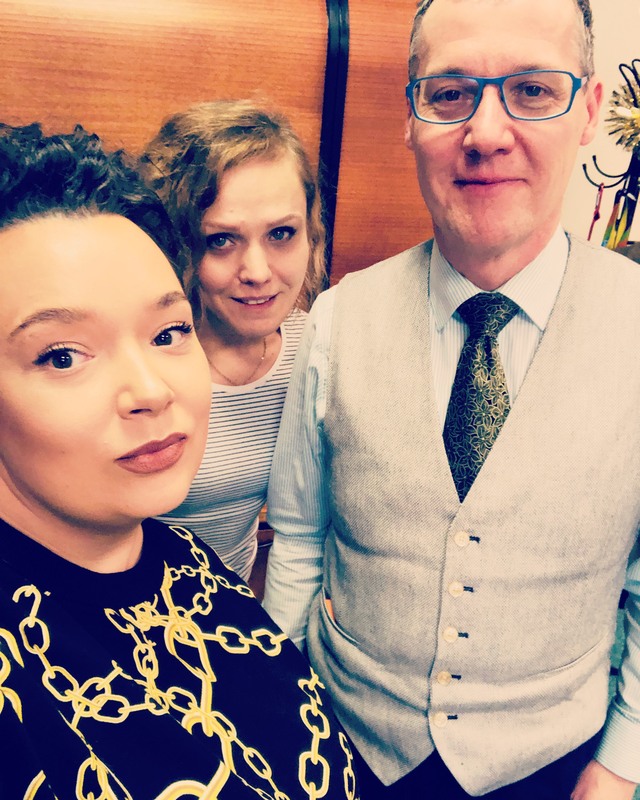 Its support from the campaign and the communities of Eastern Europe and Central Asia (EECA) – an opportunity to show the importance and the need for change, to stand up united for justice and equality for everyone. All the details, how to support the campaign “Сhase the Virus, not People!” on “Zero Discrimination Day” by the link – http://chasevirus.org/zero-discrimination/. Follow the news, subscribe to the newsletter, share the information. Stay with us! https://ehpv.ee/wp-content/uploads/2018/11/ehpv_logo_en.jpg 0 0 admin https://ehpv.ee/wp-content/uploads/2018/11/ehpv_logo_en.jpg admin2019-02-27 22:21:482019-02-28 13:41:37"Chase the virus, not the people!" - "Zero Discrimination" Day! https://ehpv.ee/wp-content/uploads/2018/11/ehpv_logo_en.jpg 0 0 admin https://ehpv.ee/wp-content/uploads/2018/11/ehpv_logo_en.jpg admin2019-02-24 11:17:132019-02-24 11:17:13Head Vabariigi aastapäeva! C Днём рождения, Эстония! https://ehpv.ee/wp-content/uploads/2018/11/ehpv_logo_en.jpg 0 0 admin https://ehpv.ee/wp-content/uploads/2018/11/ehpv_logo_en.jpg admin2019-02-13 19:45:522019-02-13 19:45:52Fresh condoms and lubricants! Topics of discussion: New approaches to cooperation with the local government, plans and goals setting for 2019 to improve the quality of life of PLHIV. Dear friends, our old and new customers! 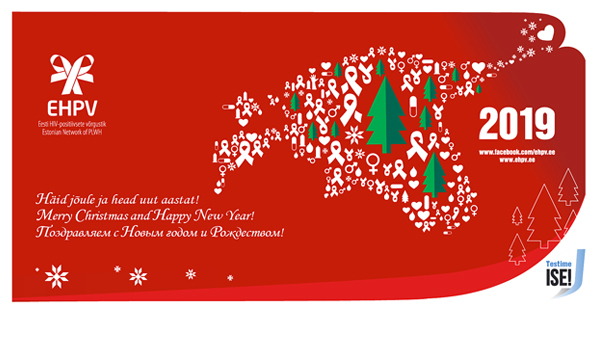 Once again, we would like to congratulate you on New Year! We are glad to inform you that in the new year we work for you from Monday to Friday from 10.00 to 17.00. Please reserve a time in advance by calling us (+372) 5340 0530. Our contact remains the same. The office of the Estonian Network of PLWH and the Estonian Consortium of Communities is located in Tallinn, Pärnu mnt 130-25, telephone (+372) 56316013.
https://ehpv.ee/wp-content/uploads/2018/11/ehpv_logo_en.jpg 0 0 admin https://ehpv.ee/wp-content/uploads/2018/11/ehpv_logo_en.jpg admin2018-12-22 11:39:192018-12-22 11:40:47Merry Christmas and Happy New Year!